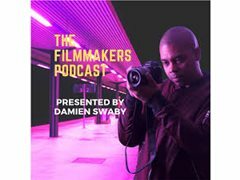 My name is Damien Swaby, I'm the host and producer of The Filmmakers Podcast. I'm seeking a voiceover artists to do the intro and outro of the podcast. Anyone who feels willing I can send the script over and I would love to hear what people come up with.